Expect a lot more gyms, tanning, and laundry in the near future. MTV has lined up the entire Seaside Heights crew for a fourth season of "Jersey Shore," Access Hollywood reported on Friday. 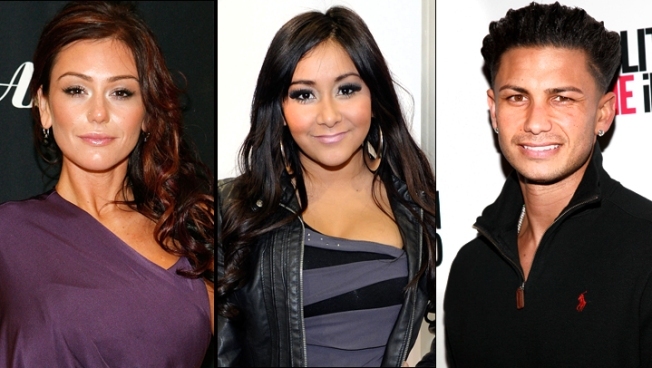 Nicole "Snooki" Polizzi, Mike "The Situation" Sorrentino, Pauly "DJ Pauly D" Delvecchio, Jenni "JWoww" Farley, Sammi "Sweetheart" Giancola, Ronnie Ortiz-Magro, Vinny Guadagnino and Deena Nicole Cortese are all on board for the new season, which is set to take place in Italy. News of the deal comes one day after MTV confirmed it had ordered up two spin-offs of the wildly popular reality show. “I got my own Spinoff! #SnookiRevolution” Snooki tweeted after the big reveal. The spin-off will start filming later this year and be on air in 2012.